Every other Thursday, Mayday Brewery hosts the Murfreesboro Old Time Jam, where banjo, fiddle and guitar players of all ages gather to get down. On this particular evening, owner Ozzy Nelson kicked it up a notch by adding a shrimp boil into the mix. Kim Council’s Float-a-Boat food truck was dishing out delicious helpings of traditional shrimp, potatoes and corn on the cobb, plus sausages, burgers and other goodies. Mayday kept the party going with three-dollar ‘Boro Blondes. If you’ve never been to Mayday… shame on you! 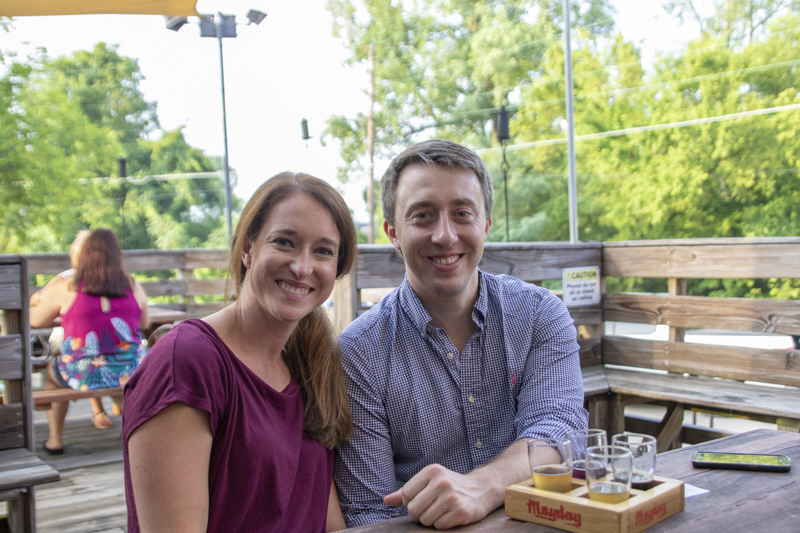 Murfreesboro’s only brewery has been a labor of love for Ozzy Nelson and his family. Their delicious brews are only rivaled by their undeniable welcoming hospitality. So pick a weekend and come take the tour. You’ll be supporting local – and have a blast while you’re there.